A major international player, European leader in the CMMS market, Siveco Group develops Maintenance Management Systems (CMMS) and Enterprise Asset Management (EAM) solutions since 1986. Siveco Group has developed Maintenance Management software since 1986 and is today one of the key players in the global CMMS market. Unlike other leading CMMS suppliers, Siveco Group has remained an independent company, solely focused on maintenance management. Siveco Group's CMMS Coswin 8i is used by over 90,000 users worldwide. Coswin 8i is available in 16 languages and provides easy-to-use translation tools for other languages. Highly user-friendly and customizable, Coswin 8i benefits from the latest web and mobile technologies. Unlike most software products, Coswin 8i is designed by maintenance people for maintenance people. Siveco Group benefits from a broad international network of subsidiaries, affiliated companies and certified partners that provides consulting services and support for the group's software solutions in over 60 countries. For more information on Siveco Group, please see www.siveco.com. Please in mind that the positioning and range of services offered by Siveco China in the Asian and overseas markets may differ from our European practice, as we take local specificities into account. 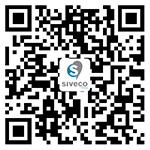 Siveco is a local supplier in your own country.